June, 2016 | Run S.M.A.R.T. 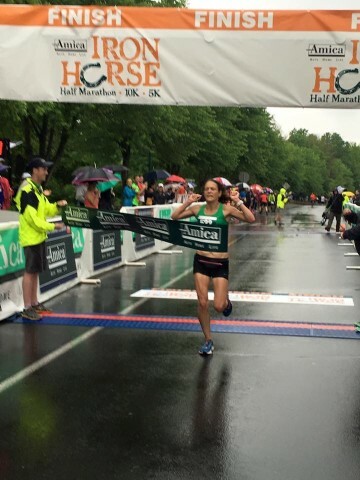 Shannon Siragusa of Simsbury, CT was first female and 14th overall at the Amica Iron Horse Half Marathon. Her official time was 1:25:19. [Full Results] Not too shabby only 6-weeks after the Boston Marathon. The 41-year-old mom and former collegiate runner has now lowered her half marathon PR by over 3-minutes since following one of our custom marathon plans.